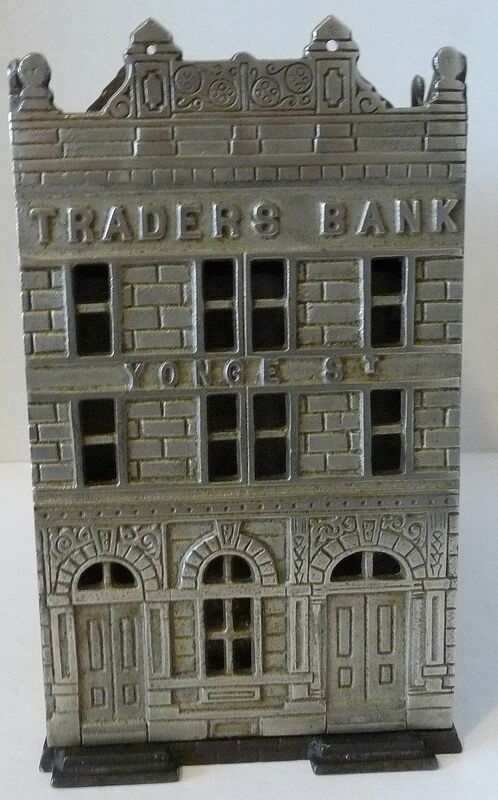 This nickel plated cast iron still bank was made in the shape of the Old Traders Bank Building at the corner of Colbourne & Yonge Street in Toronto. This original building was torn down and rebuilt in 1905. 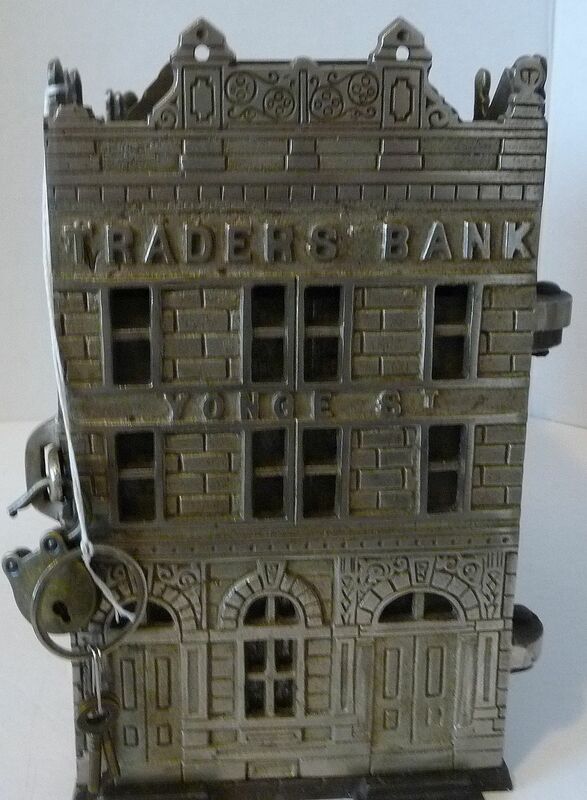 The Traders Bank was in operation from 1885-1912 when it was taken over by The Royal Bank of Canada. 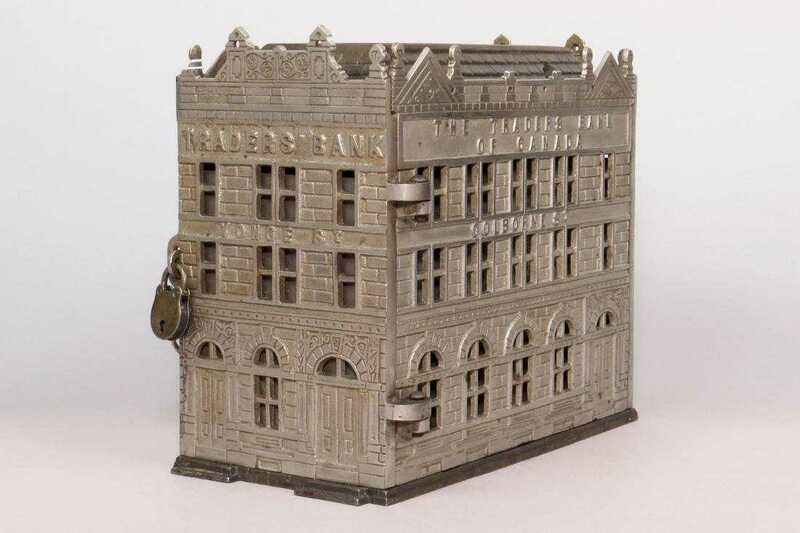 The bank has 4 money slots for different depositors in the family and an inner metal box with 4 numbered compartments to catch the money. There is a door that was kept locked at one end. 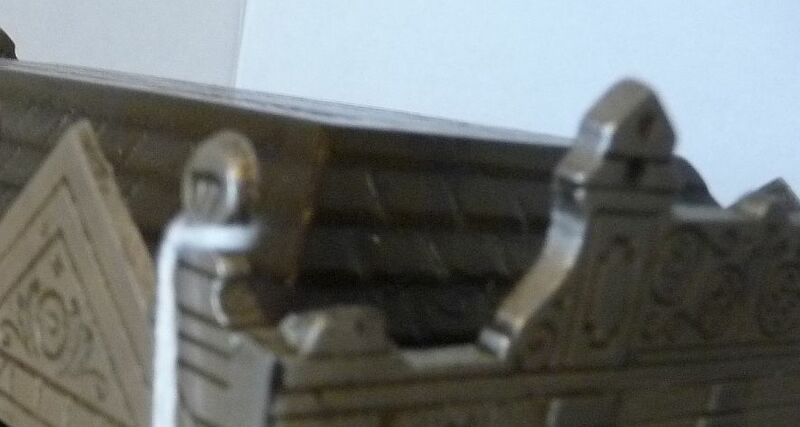 It has a loop and a small lock. 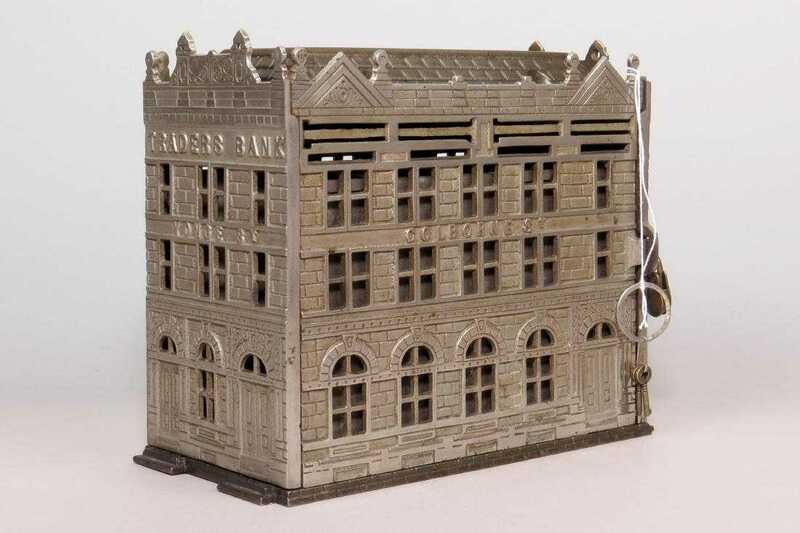 The bank was kept locked until the banker opened it and removed the monies for deposit once a week. 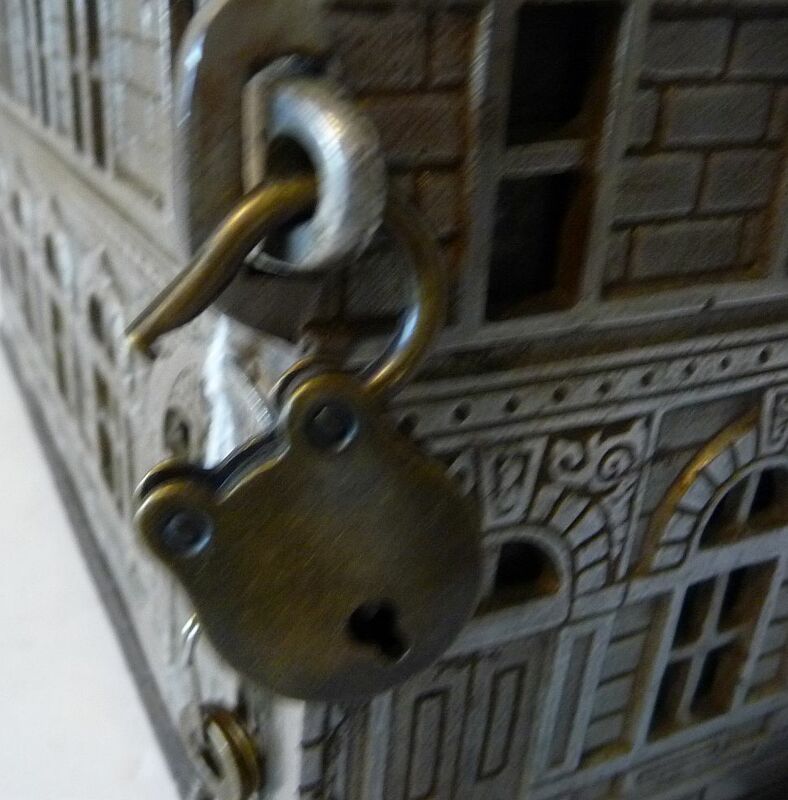 (Lock and key included). This turned out to be an unwieldy process and only lasted two years. About 1500 of these banks were made but when the program was abandoned most were either scrapped or smashed. 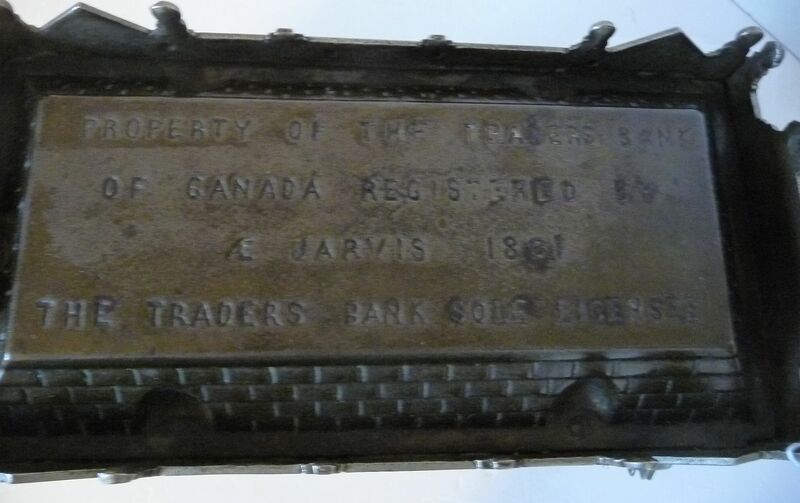 It is stamped on each end ‘TRADERS BANK YONGE STREET’ - on the front ‘The TRADERS BANK OF CANADA’ and on the back ‘COLBOURNE STREET’. Condition: As found. Near mint. No repairs, one small finial broken off over the door (see photo). 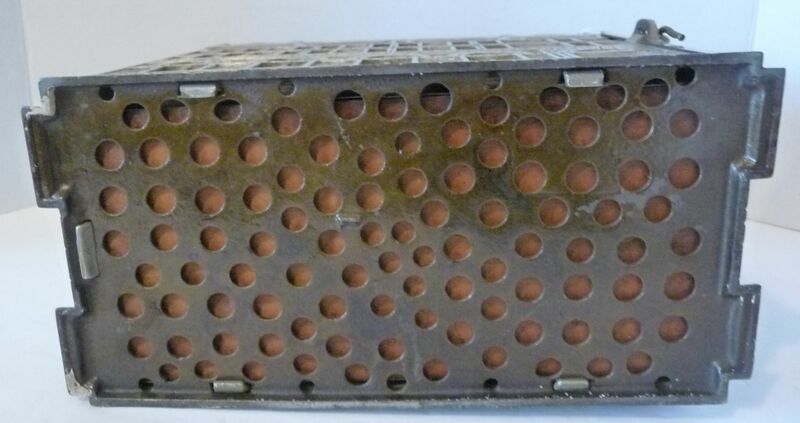 Complete with the inner box, working lock and key.. 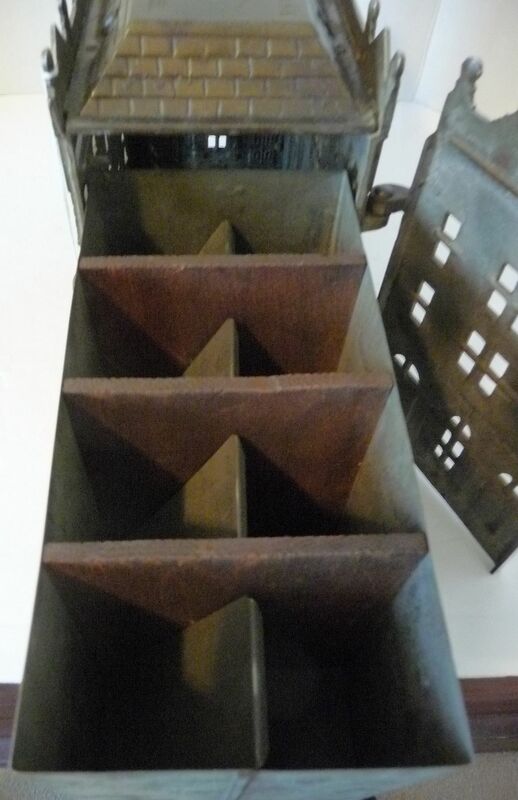 Approximate Dimensions: Height 8.5", Width 10.25", Depth 5 1/8".